I am old enough to have known two men whose names were household cleansers – Randall Babo and Hendrik Comet. Needless to say they were both called Sudsy. They didn’t particularly dislike their childhood nicknames. Randy Babo liked the attention he got and always dressed up in in a Babo theme every Halloween. He was very inventive and his costumes were unique. One year he was a toilet bowl, the next he had his grandmother sew him a green suit with plastic bubbles all over it. Hendy Comet was indifferent, although he would rather have been associated with Halley’s comet, and in fact he did get a surge of interest in 1986 during first grade when it entered the Solar System, not to return for another seventy-five years. He was just beginning to get interested in space and astronomy, and the thought it was cool that he had been named after a celestial body that visited the farthest reaches of interstellar space before coming by Earth. Of course as soon as the comet went on its way, he was back to being Sudsy again. These names were nothing compared to Hetherington Fritter III, always and forever known as Corny. Fritter was the last in a long and distinguished line of Fritters out of Boston and Providence who made their money in ice, slaves, and when the Transatlantic trade in human cargo was outlawed, small industry. Before the Civil War Fritter Industries produced tools – wrenches, hammers, and drills – and after the war broke out retrofitted its plants in New Brighton and Glastonbury and made the armaments and weaponry supplied to the Union Army. By the time Harry Fritter entered grade school, his private income was in the tens of millions. His father had never worked, the family had homes on Nantucket, Palm Beach, and Gstaad, and their life was as privileged as any in America. New Brighton, however, had no private grade schools, and as much as the Fritters had wanted an exclusive experience for their son throughout his education, this was not to be; and Harry had to rub shoulders with the unwashed whose fathers worked on the floor of the very factories the Fritters had built. “A what?”, barked Harry’s mother when he told her the story. She, too, had never heard of a fritter and certainly hadn’t seen one. Corn, yes. During the summer they always bought fresh corn from Stash Mankiewicz, a drill press operator at Fritter Industries who lived in the Berlin countryside and had a few acres of farmland. Mrs. Fritter served the corn hot and steaming to her family who fixed the ears with English corn pins and dipped the golden ears in melted butter still warm in Limoges dishes. Anything other than summer corn – succotash, creamed corn, or corn fritters – was unheard of in the Fritter household. Hetherington Fritter II, Harry’s father, told him to face his tormentors like a man, and gave him some boxing lessons in the backyard on Saturday. “A good left cross, boy”, he said, remembering his days on the Yale boxing team in the 30s. The name Corny stuck with Harry Fritter all through grade school and country day school. Although he asked those boys from his neighborhood who were going to Barker Meadows to please not carry the Corny name with them, this plea only assured that the nickname was to be around for the next three years – more it turned out because two of his grade school chums went to St. Grottlesex with him. Harry thought that he would never get rid of the revolting nickname, but he never did until Yale which was too big a place even though the St. Grottlesex contingent never let him forget it. He was only free from the nickname when he left Yale and shortly after graduate school went to India. He didn’t exactly go to India because of the nickname; but the thought of 10,000 miles of separation from the New Brighton, St. Grottlesex, and Yale crowds did cross his mind. He really didn’t have to worry because Corny – like the Sudsies of my generation – was a childhood name; and since after India he went to Harvard Law School and then joined a prestigious K Street firm, there was no way that he would be called ‘Corny’ in court. The case of Tubby Sinkum is, unfortunately, another story all together. Someone back in the Babo days labeled him Tubby because he was always a fat kid; but it was only a number of years later that some wiseacre thought it was funny to pun on the names ‘Tubby’ and ‘Sinkum’ together. “The Law of Archimedes”, he said. “The upward buoyant force that is exerted on a body immersed in a fluid, whether fully or partially submerged, is equal to the weight of the fluid that the body displaces.” In other words, fat Tubby Sinkum could never sink. The logic might have been flawed, but there was no way on earth for this nickname to go away. The Sinkum family was as equally illustrious as the Fritters, but they had made their money in mining (this was the only family irony related to their name) and lots of it. Tubby’s great-grandfather had made millions in Chile copper and Alaskan gold, and his grandfather was an associate of the Curtis Blackwell of New York and Philadelphia who made his fortune from West Virginia coal. They lived in the same elegant townhouse on Rittenhouse Square since the turn of the last century, had homes in the Berkshires and St. Kitts, and were respected philanthropists. Tubby’s coterie of friends, all of whom were cut from the same cloth, would have jettisoned the nickname out of respect for their friend, but they could not. ‘Tubby Sinkum’ was simply the best possible name for Barton Sinkum. He was corpulent, not just a little overweight. He was so fat that he wore out his English wool trousers in months. Miles of abrasion thanks to his fat thighs wore down Brooks Bros., J. Press, and Burberry faster than a six year-old boy outgrows shoes. Tubby was well aware of his size and worked very hard at reducing weight. Cutting calories was just not in the cards for someone who loved to eat as much as Tubby, so it would have to be exercise. After an hour on the bike, treadmill, rower, and ellipticals at the Yale Club in New York, he looked forward to relaxing in the Jacuzzi, a modest-sized whirlpool, just enough for three people, all of whom he invariably knew and liked chatting with. The problem was that when Tubby stepped into the whirlpool, he displaced so much water that it splashed and spilled out over the sides; and when he got out so much water had been lost that the pool attendant had to spend an hour refilling and reheating the tub. “There is no way that Tubby would sink his friends”, his colleagues laughed in the locker room. “Leave them high and dry, yes, but never sink ‘em”. In a friendly show of camaraderie, they called him Archie for Archimedes. Tubby laughed along with them and hoped that Archie would replace Tubby, for after more than 40 years, the repulsive nickname was beginning to get to him. But ‘Tubby’ was too perfect. It sounded like ‘tubular’, ‘tub o’ lard’, ‘tuba’ and so many other big and rotund things. And, well, who could improve on Sinkum? In other words unless he went to the moon, people would always link his obesity with his unfortunate last name; and whether in Ames, Iowa or Hanford, Washington he would always be known as Tubby Sinkum. Every time he swam in a pool, lake, or even the Atlantic Ocean, people would think of him, Archimedes, and his displacing buoyancy. Tubby Sinkum was a very centered individual. 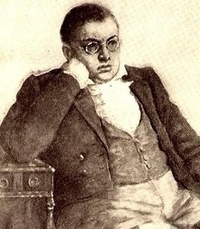 He thought of himself as Pierre Bezukhov in Tolstoy’s War and Peace – corpulent, yes; but kindhearted, philosophical, generous, and good – and he was not far from the truth. He was universally liked despite the good-natured jesting about his buoyancy. He made his own money and added to the family fortune. He married well and happily, and his children – thankfully svelte and athletic thanks to their mother whose genes and habits contributed to their attractive figures – were all making their way in respected professions. He sometimes thought that he had married Claire Farnsworth because she was so thin, almost neurasthenic, but dismissed the thought because she was widely acclaimed seductive beauty and brilliant mathematician. Who cared if she was getting a bit scrawny around the collarbone in her late middle age? I lost track of Sudsy Babo and Sudsy Comet; but had a good feeling about their social and personal trajectories. They were smart and agile, and both knew that they would long outlive their silly childhood nicknames. Because of all of them – the Sudsies and especially Tubby Sinkum – I was careful to name my children such that they would never have silly nicknames. “Far too conservative”, remarked my sister who went overboard on the crazy names; but then again she and I are very different people.